We offer high quality fabrication services of Boiler Drums. Our drums maintenance and installation services are widely acclaimed in the market for the features like cost efficiency, reliability, flexible approach and quality compliance. We have hired trained employees, who are fully conversant with the current technology of the fabrication industry. Our boiler installation and repairing services find use in different thermal based industries. We render our all industrial services at industry leading prices. Compliance of the statutory provisions. Since 2009, we have gained the position of a notable service provider in the respective industry. Owing to our through process understanding, we are rending world-class Fabrication Services Superheater Coils, Boiler Drums, Water Wall Panel, Boiler Headers and Boiler Bank Tubes. 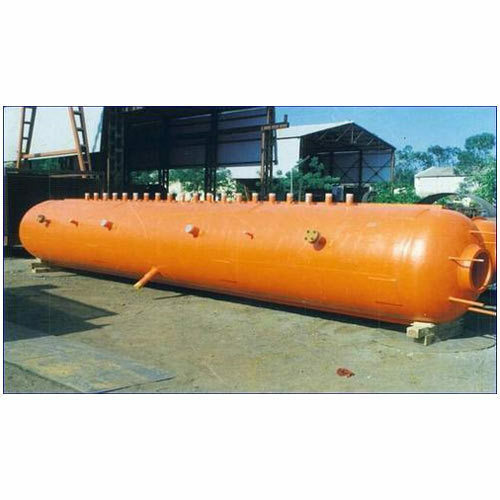 Apart from this, our expertise also allow us to offer the fabrication services of Deaerator Tank, Blow Down Tank, Steam Pipe Lines and Economizer Coils. Our services are widely known for their on-time execution and affordable prices among the clients. The crucial role of organized approach and method in execution of services have driven us to adopt a specific process. In this way, we give the optimum importance to understand the exact needs of clients regarding the specification of products. With the use of hi-tech machines and tools, we ensure that the fabrication services we provide conforms to guidelines set by the industry. Apart from this, we also focus on maintaining the consistent quality during the insulation, installation and erection works. By offering complete solution, we are able to cater the varied needs of our clients spread across various parts of the nation.